The WOTOFO Viper RTA is a 24mm diameter rebuildable atomizer tank, with gold plated 510 pin Thread. 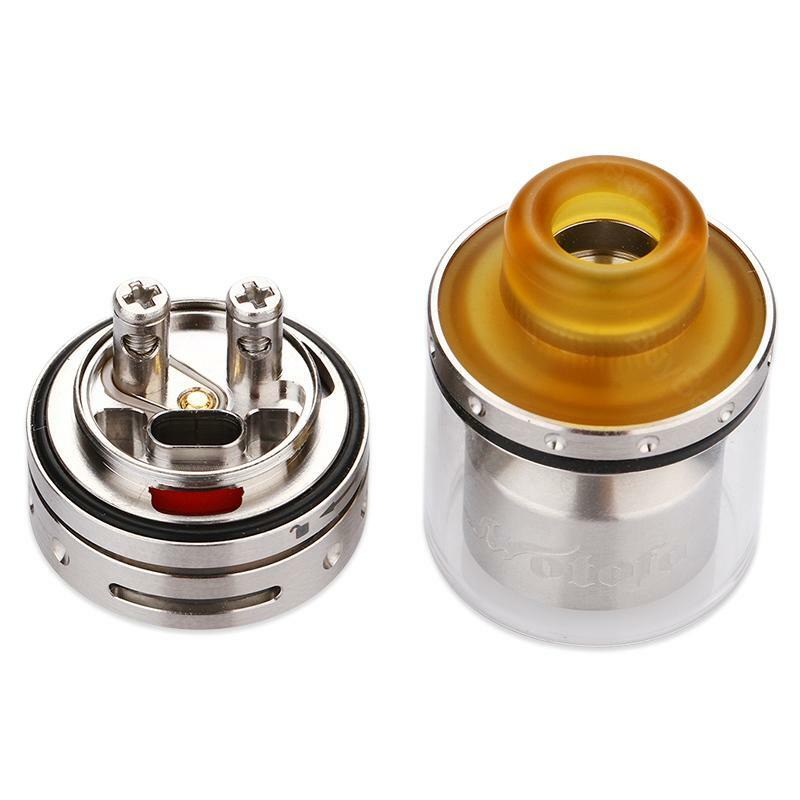 The Viper RTA is the single coil RTA and it can hold 3ml e-juice. Top filling for easy operation and clean. Available in Black and silver colors. The WOTOFO Viper RTA is a 24mm diameter rebuildable atomizer tank, with gold plated 510 pin Thread. The Viper RTA is made of 304 Stainless Steel, Pyrex glass and PEI materials. The RTA atomizer features the unique leak-proof e-juice flow control system and easy single coil building deck with 2 posts. The design on the top is Anti-condensation and the RTA is no leaking! Also, the convenient top filling for easy operation and clean. Black and Silver colors are available. Just purchase the WOTOFO Viper RTA Atomizer to enjoy DIY. I'm a single coil type guy. The deck is very easy to work with on Viper rta. For me flavor and cloud are great at 40w. Love my new wotofo viper rta. The single coil building deck is very simple to handle. And nice clouds lol. The viper rta holds 3ml juice and no leaks with me. Single coil building is a breeze. I definitely love it!